Saissac is quite a small village between Carcassonne and Revel in the Aude department of languedoc-Rossillon and makes for a very scenic detour when you are travelling between the two. It is largely the location of the village, on the edge of the slopes of the Montagne Noir and at an alitude of near 500 metres, that makes Saissac interesting, because it has very extensive views across the plains to the south (the Montagne Noir is the southernmost point of the Massif Central). 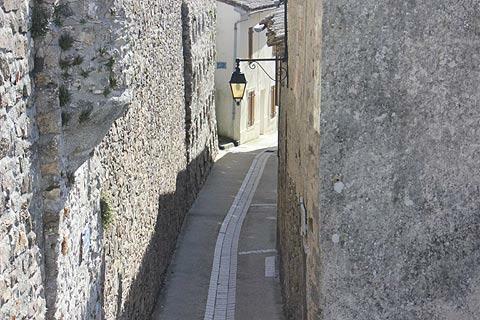 As a result of its position, the most impressive aspect of Saissac is the views as you enter the village (there are scenic viewpoints as you enter from either direction). The castle and later the church were both built on the brow of a hill below the current village, making the views even more impressive. 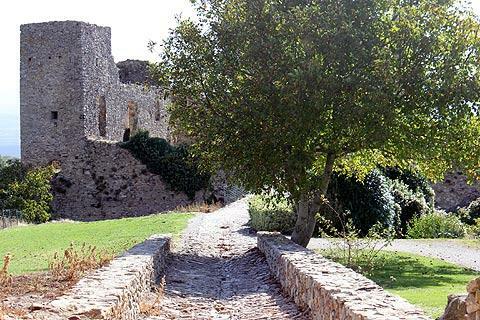 Although now in ruins, the 10th century castle retains a quite extensive part of its original structure and the layout of the principal rooms, towers and fortifications are still clearly visible. Very unusually you descend steeply through the village to reach the castle - usually castles are on the highest ground with the village below! 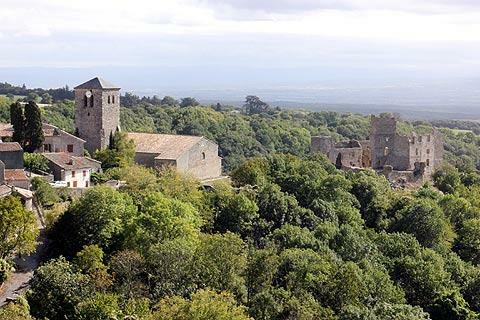 The most active stage in the history of the castle was during the crusade against the cathars in the 13th century, and the castle is listed as one of the 'cathar castles' in Aude. Later, in the 16th century during the wars of religion, much of the village of Saissac was destroyed but the protestant troops failed to seize the castle. 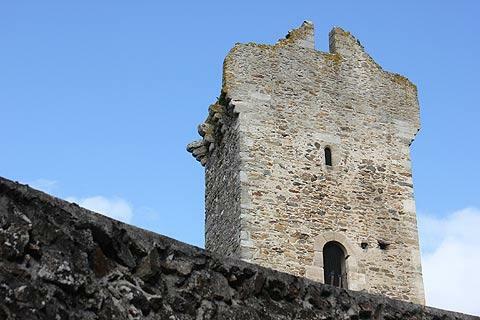 By the 18th century the castle was largely abandoned and falling to ruin, and it is only in recent years that a programme of protection and restoration has ensured the future of the castle. Elsewhere in the village there are several notable highlights, most of which you will see as you descend to the castle. 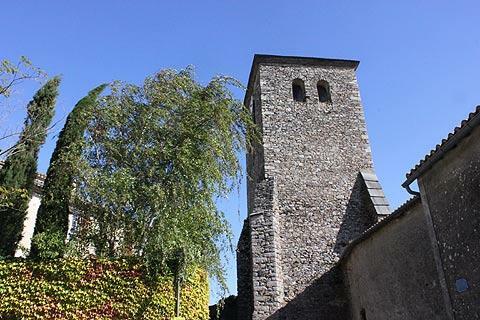 These include a church (next to the castle, much of the current building is a 17th century reconstruction after fire damage destroyed much of the original church), some interesting old stone buildings, a 13th century gateway into the town and a small square with two square stone towers towards the top of Saissac. One curiosity is the fountain in the small Place aux Herbes. 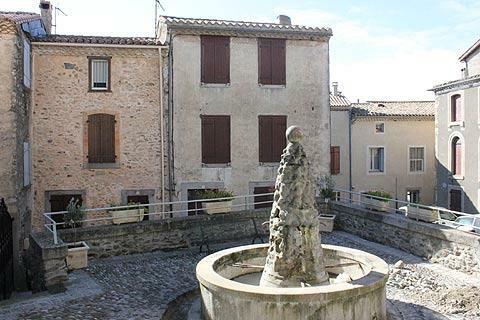 This small square was once the centre of the village with the Mairie and the market, and an important source of water for the villagers. It is now a very quiet small square and the fountain, dating from 1722, is the oldest in the town. 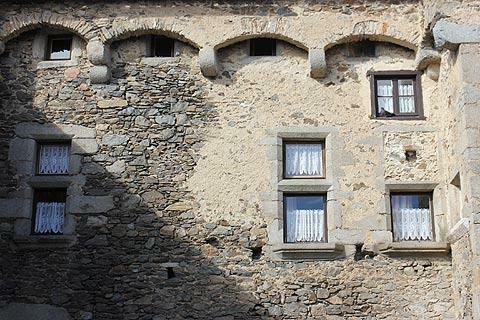 Another particularly notable building is the 16th century Hotel des Saptes, with some interesting stonework - it is in the street of the same name (Rue des Saptes) and again you will pass it as you descend towards Saissac castle. The mountainous region to the east of Saissac is called the Montagne Noire (Black Mountain) and has various activities for tourists as well as several natural attractions such as the Gouffre de Cabrespine, one of the largest caves in the world and next to the village of Cabrespine (see www.gouffre-de-cabrespine.com) and the Grotte de Limousis, another cave that can be visited (see www.grotte-de-limousis.com). 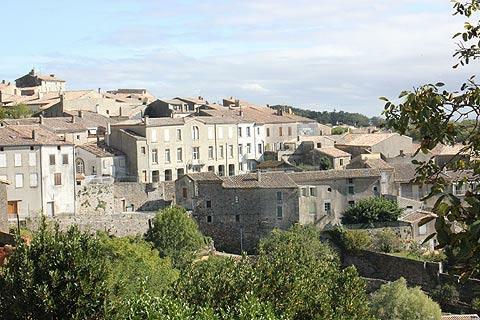 There are various small towns and villages of interest here in the forested hills in the south-west corner of the Regional Natural Park of Haut-Languedoc. Among the most popular with visitors are the small town of Montolieu to the south-east of Saissac and best known for its numerous bookshops, and the villages of Sorèze and Revel to the north-east of here.